You know one of the best things about Chicago’s bar scene? The fact that no matter what type of experience you are looking for, this city has it. 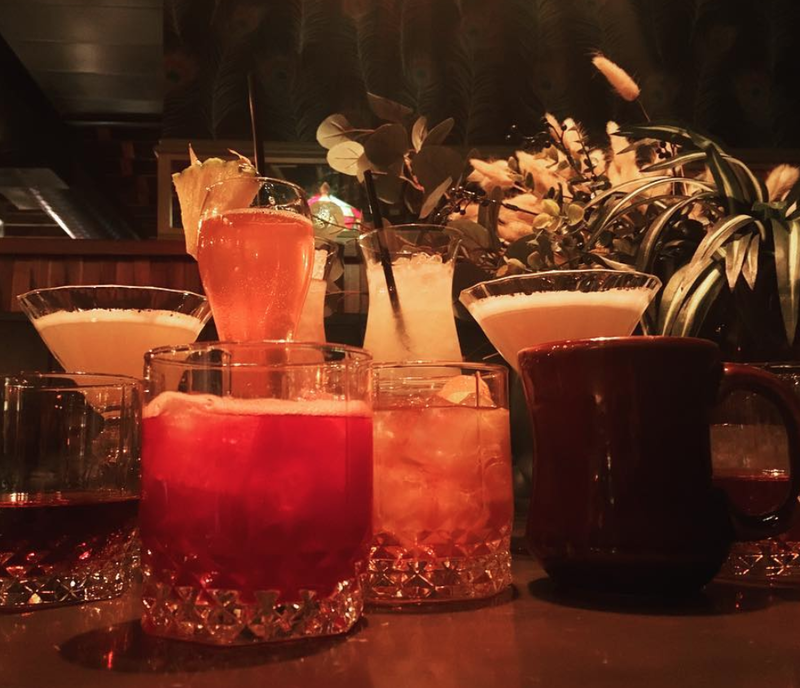 So settle in this winter with some our favorite and most unique spots in the city to loosen up and enjoy Dabble's winter guide to Chicago's bars for 2018! One of the newest members of Chicago’s emerging Brewery District, On Tour Brewing offers a unique interpretation of brewery tasting rooms by keeping the brewery and barrel rooms at the heart of the space, showcasing them as a major element of the interior. And while the space does offer an unparalleled visual experience, their dozen+ rotating house brews are also pretty amazing. Among all the high-end bar and restaurant offerings along Randolph in the West Loop, it could be easy to overlook Lone Wolf with its modest exterior, but inside is what can best be described as high-end dive with craft beers and classic cocktails worthy of the price of their $16 Signature Old Fashioned. This staple nightclub in Chicago’s predominantly gay neighborhood, Sidetrack is known for serving up super boozy slushy drinks and their showtunes-theme nights like Musical Mondays karaoke and Thursdays Pop Rocks dance parties. Guthries Tavern is somewhat of an anomaly - a Wrigleyville bar that doesn’t charge obscene covers and isn’t wall-to-wall with sports bros. What it does offer is the chance to hunker down in a relaxed dive bar setting with dozens of craft beers on tap and more than 60 board games to partake in. This neighborhood tavern once ran by the “Queen of Division” Mary Kafka, was long-shuttered for more than four decades but was recently reopened, now operating as a cozy maritime-themed cocktail lounge, the Queen Mary is known for their seemingly endless selections of fine Scotches. Located above Slippery Slope, Heavy Feather offers a timewarp to ‘70s culture with this disco-inspired fern bar. Craft cocktails, gold mirrors, and polished walnut make this a great lounge to relax in with friends. 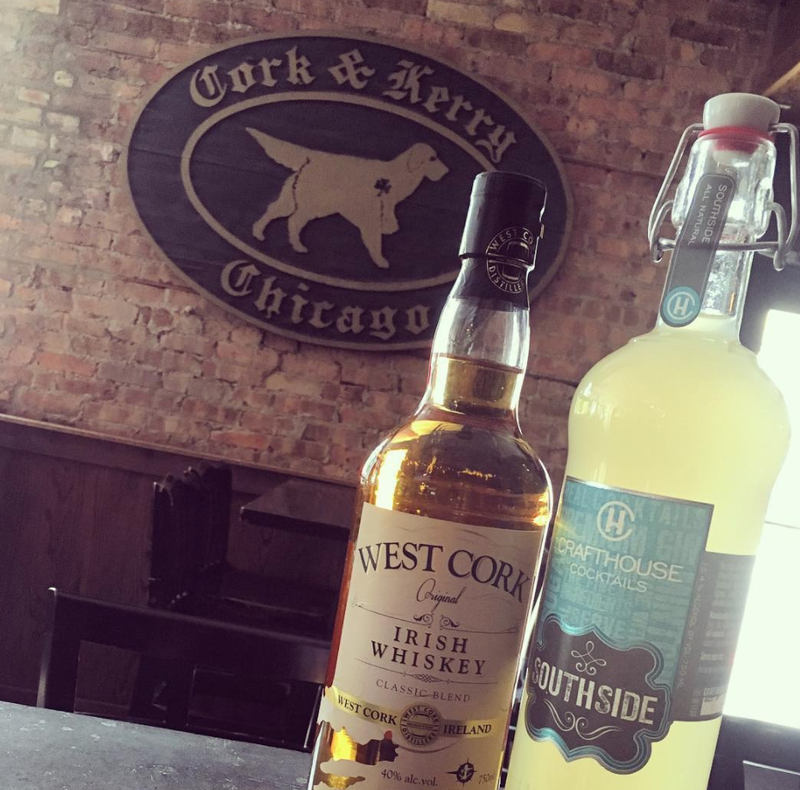 Chicago’s favorite Irish Pub housed in the southside Beverly neighborhood, Cork & Kerry encourages an approachable atmosphere with vintage photos and authentic Irish décor that creates the perfect spot to hang out for a happy hour pint. A former Wicker Park staple, Jerry’s recently relocated to its new home in Lincoln Square. 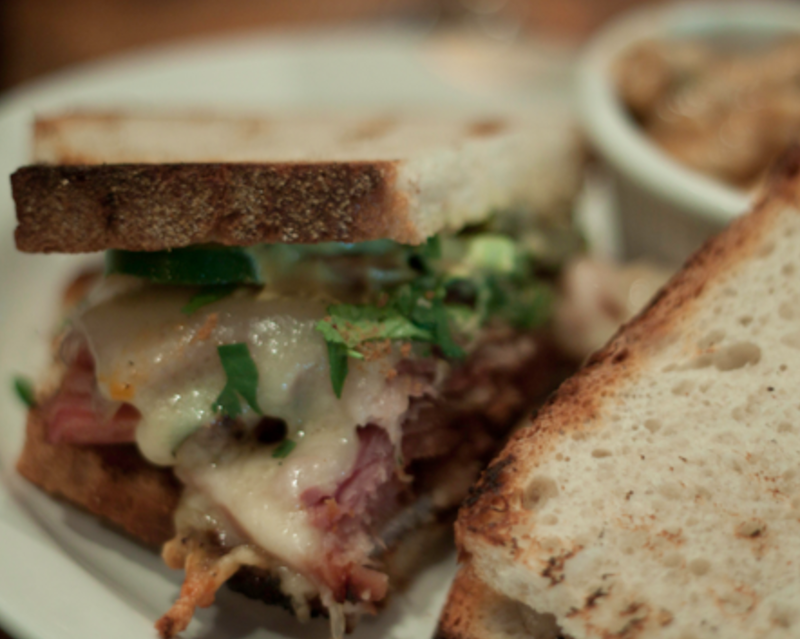 Fortunately, the menu has not changed with more than 60 amazing sandwiches and an equally impressive craft beer list to pair with. Rated one of the best bourbon bars in Chicago, Delilah’s embodies the spirit of punk-rock. While you’ll find good whiskey on the menu for cheap prices, Delilah’s frequently has movie nights, DJs spinning punk and ska, and beer and liquor tasting events. A perpetual northside favorite, Hopleaf serves a large selection of Belgian-style beers and the most authentic mussels and frites you’ll find in the city in a setting that is both perfect for a large gathering with friends or for a romantic night for two. 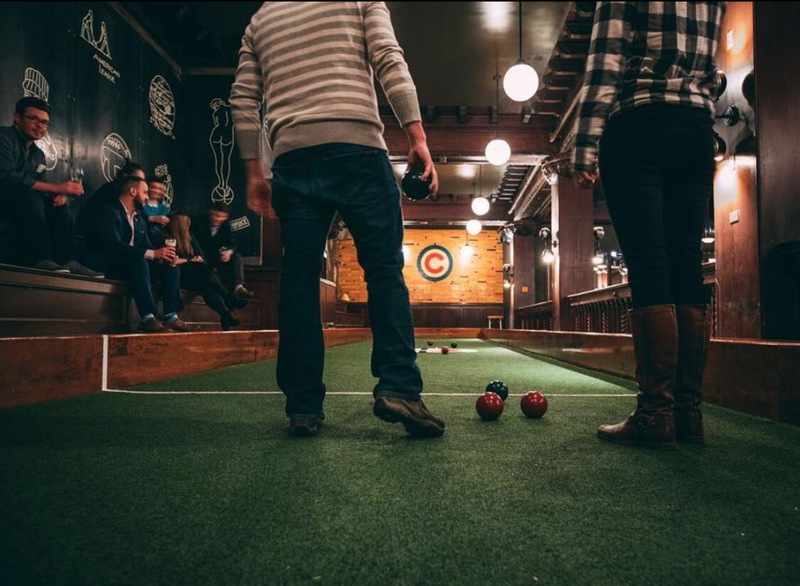 As part of the newly revived Chicago Athletic Association, Game Room takes the original billiards room and reimagines it as a boisterous playground and bar that pays homage to the organization’s clubby past for a new era of competitive smackdowns in bocce, billiard, shuffleboard, chess, and checkers. This iconic dive bar has become a go-to in Old Town, thanks in part to its 4 am closing time, but also because on any given night, you may see celebrities visiting Chicago (and the nearby Second City), plus its iconic jukebox (stocked with jazz) and the unusual decor all over the walls (crude paintings of celebrities and politicians in compromising positions) really create a memorable experience at the Old Town Ale House.